Great for low-budget hosting needs. You get the same high-speed performance of our other plans, but without the ability to handle more traffic. Our Flagship Managed Dedicated hosting product. This plan is used by everyone from simple blog websites to e-commerce sites serving millions of visitors daily. When your application is very demanding on CPU time or simultaneous traffic, we offer custom dedicated servers to accommodate those needs. Performance is paramount to the vast majority of our customers &dash; it's why we've been so succesful in this industry for so long. Our 3.5Gh+ Intel server processors and Enterprise SSD hosting are what we've become known for. We typically tell people "we may not know how fast your site will load, but we know it will run faster here than anywhere else". Stability and reliability are arguably just as important as performance. If your server isn't accessible and working properly, that can be a nightmare on any hosting. Our systems are built from the ground up to eliminate single points of failure. Our system hardware is on fully redundant power and network configurations. Our commitment to maintaining performance means continued performance for our customers. Most companies rarely replace equipment as it becomes out-dated or begins to degrade in performance; however, our approach is to upgrade customers seamlessly as new hardware becomes available. Roughly 9 out of 10 of our hard drives have been hot-swapped (the customer does is not negatively affected) to upgrade the performance, rather than as a result of failed equipment. We don't just react to hardware issues, we proactively monitor for slowing equipment and resolve it with no downtime for our customers. Budget shared hosting typically comes with bad performance and stability issues. Our Split-Shared hosting is backed by the same high-performance, high-stability platform that our split-dedicated plans run on. Enterprise Intel SSD drives are used to address the high disk access needs of a shared hosting platform, and CloudLinux is utilized to isolate the effects of abusive accounts from affecting other clients on the shared server. While many customers stay on our shared hosting products for years, our Split-Shared platform is intended as an entry platform. We price our shared hosting packages not with the intention of making a large profit; instead, our goal is to provide a stable environment with a smaller number of customers per server. While most budget shared hosting plans have at least 500 customers, our systems are limited to a fifth of that. The result of our approach is that our systems are always "under-loaded", making it so your site's performance is never hurt. Similar to our approach to Split-Shared hosting, we pride ourselves in providing a high-performance, stable hosting environment. Our Split-Dedicated plans run on a stable Xen Virtual Server environment, with many in-house improvements. Our Split-Dedicated plans come with in-house server monitoring software, which allows you to keep an eye on how your system and services are performing. Our plans are "under loaded" compared to what most VPS hosting companies offer. Rather than have 20 or more companies on each server, we provide further isolation from other virtual servers by typically having five or less Split-Dedicated customers per physical server. This further isolation on top of the Xen environment ensures that customers never deal with an impact from other customers. Our dedicated servers are built to fit your needs. We provide popular system configurations for customers with typical application needs; however, what makes our dedicated hosting unique is our ability to make brand-new custom dedicated systems for our customers. All of our dedicated servers are owned, configured, and built by our company. 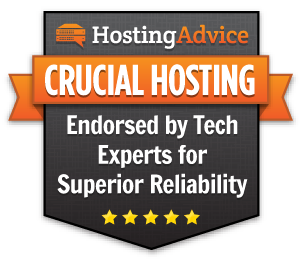 Literally any system you need can be made available and backed by our managed hosting platform. Every server comes with a fully redundant configuration including RAID mirrored hard drives, A + B power to the chassis, Active Fail-over gigabit network uplinks, and fully redundant uplinks to our premium bandwidth providers. Servers are provisioned with the latest versions of PHP, as well as the tools to easily and quickly install hundreds of web applications using Softaculous.